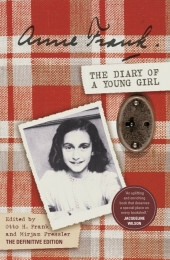 Produktinformationen "The Diary of a Young Girl"
First published over sixty years ago, Anne Frank's Diary of a Young Girl has reached millions of young people throughout the world.In July 1942, thirteen-year-old Anne Frank and her family, fleeing the occupation, went into hiding in an Amsterdam warehouse. Over the next two years Anne vividly describes in her diary the frustrations of living in such close quarters, and her thoughts, feelings and longings as she grows up. Her diary ends abruptly when, in August 1944, they were all betrayed.